Vessel well fitted out with new equipment has large heads with stand in Shower. Classic Dutch Motor Cruiser built in the early 1980's. Owner is an experienced Engineer and has spent substantial time and money on renewing the Electrical systems and adding state of the art support equipment, new batteries all round. Engine Cockpit Dials have all been renewed and she has excellent navigational instruments which are included in the sale, a Marine Engineers dream. Comfortable and spacious onboard, would make an excellent live aboard with the addition of being able to steam where ever you pleased to go, capable of Offshore as well as River Cruising. The quiet running Mercedes 90HP is in superb condition with a rebuilt gearbox and cladding has been renewed on the Exhaust, not a stone has been left unturned with the work the owner has done who is extremely meticulous. The engine room is very clean and real example to those enjoying quality engineering. 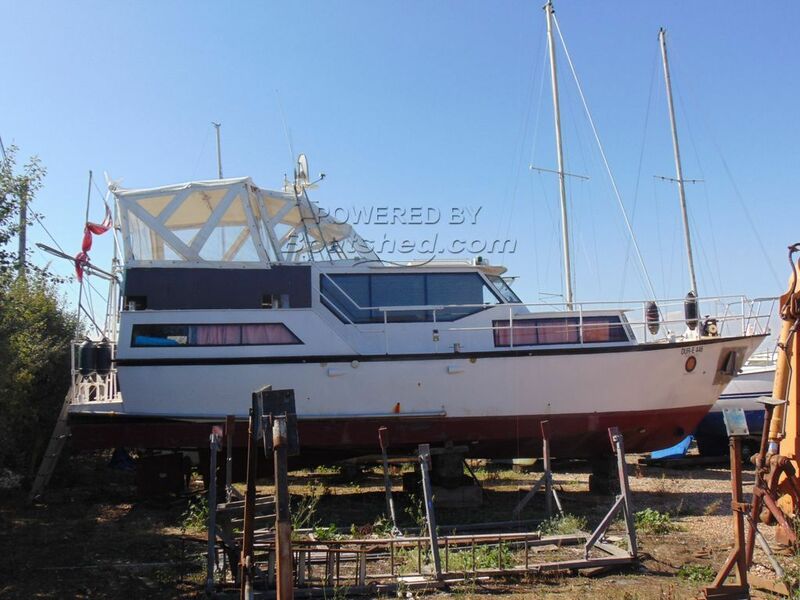 This Dutch Steel Motor Cruiser 40 has been personally photographed and viewed by Peter Thomas of Boatshed Suffolk. Click here for contact details.